After all the sugarcoated holiday fanfare, now's the time to consider your 2014 bread and butter, those niche installations you count on to help keep your bottom line happy. But is there really such a thing as an everyday install? More likely, your projects are ever-changing, evolving with technology advances and your clients' growing needs. At Data Projections, current bread and butter installs include infrastructure integration, mobile integration, service contracts, and huddle spaces, said Will Birchett, director of emerging technologies. "Companies are starting to realize that conference rooms are underutilized; there may be three to five people in a space designed for 20," he said. "This trend has created a great demand for team spaces better known as huddle rooms, designed for the smaller, more collaborative meeting. 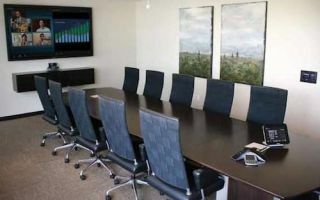 We are frequently deploying these huddle spaces with video collaboration technology and interactive displays from manufacturers such as Polycom, Cisco, Microsoft, Crestron, and SMART Technologies." At Data Projections, current bread and butter installs include infrastructure integration, mobile integration, service contracts, and huddle spaces. The installation of owner-provided equipment and systems is another trend, particularly with corporate and education clients but growing in other vertical markets, noted Brad Nelson, president, System Solutions Northwest. "We expect to see this continue in 2014 and onwards. Typically, the client's IT department will purchase AV equipment from a website or large national discounter, and then contract our company to install the products they now own. It may be just a display, or it may be an assortment of equipment that they believe will do the job for them. Advantages include a reduction in cash flow requirements by the elimination of credit extended to the clients on terms that would typically yield a low margin. "It also allows us to gain familiarity with the pros and cons of brands and models we wouldn't normally install, and thus determine if we want to add it to our system offerings for other clients," Nelson noted. "We increase our average profit margins, since the profit on services, materials, and accessories is much better than on many big ticket items. And, our company's reputation for expertise is increased when we can competently install and work with whatever they may throw at us." The practice is not without challenges; equipment purchased by clients may not be the right fit for the solution. "However," he added, "if it can be shown that there are valid reasons for the need to return the gear they've just bought, the client usually will be understanding. Sometimes, we need to quickly learn a product that may be outside of the brands or product lines we would normally carry." With the uptick in the enterprise of mobile adoptions and BYOD, Data Projections finds itself consistently deploying technologies that allow for easier connections and collaboration from all platforms, including mobile. "In many cases, the demand is for wireless presentation and multi-user functionality," said Robby Turner, executive vice president. "We have our 'go to' products for this space that consistently perform, and, from a technological sense, wow the customer. These solutions include Barco ClickShare, Mersive Solstice, Crestron AirMedia, and AMX Enzo." The ability to utilize various devices to easily, and sometimes wirelessly, transmit content from the end user device of their choice is key in continuing to make it intuitive and easy to use, he added. "If our clients can't get their meetings started quickly, they are losing productivity and that's lost time and money. It's very important that we continue to provide solution options to help make their meetings and collaboration environments more efficient." For Per Forsberg, president, Audio Architects Inc., the phenomenal growth and increase in technology has led him to believe that although there is no such project as an everyday install, there will always be a unique comfort zone for each contractor based on their history in the industry. "Once you have established yourself as the expert, that type of project becomes your bread and butter," he said. "The technologies in which you become expert are a matter of personal strength and passion, but being perceived as average is a recipe for extinction in today's economy. In my case, that falls into designing for intelligible sound in highly reverberant spaces, such as for HOW's. But, the reality of day-to-day life is that you will either encounter the need for, or a customer will request something that you've never done before or haven't yet mastered." Forsberg entered what was known as the sound contracting business after being introduced to architectural acoustics at a seminar sponsored by JBL in the late 1970s and a subsequent class given by sound engineering expert Don Davis. "What excited me was learning that there was a science to designing high quality sound systems," Forsberg said. "In a few short years I sold my retail music store and dedicated myself full-time to designing and installing sound systems primarily in churches. Because customers had not yet been educated to expect high quality performance, it was an uphill battle. Ironically, the sound system was typically the last budget item considered." The 2014 world is first and foremost no longer just about sound. "I still find it a competitive advantage to bring expertise in acoustics to every job, but customers routinely ask for video and other technologies," Forsberg acknowledged. "Because of the increasing complexity of these multiple sub-systems it has also become very attractive to add a layer of centralized control. Suddenly, we need to be experts in physics (acoustics), electronics (analog and digital), rigging, computer networking, RS232, DMX, IR, video cameras, video projection, and any number of different software programming languages." In a tertiary market such as his in the Eau Claire/Chippewa Falls region, there was the advantage of watching most of this unfold in major markets long before his customers began to request integrated systems. "This gave us time to seek out training at NSCA/InfoComm trade shows and manufacturer sponsored classes." The contractor's choice is fairly simple, Forsberg said. "You can either choose to grow with the new technologies or take your chances with playing it safe. Depending on your market there is no pat answer to this question. There is always a learning curve when adopting now technology and going to school can be expensive. You may be at the beginning of your career and game for anything. You may be well capitalized and able to absorb training/learning costs. Or, you may be hanging by a thread either technologically or financially." The K-12 market is quite important, he noted. "For starters, those customers are mesmerized by technology. The IT department, while hard to talk to, initially commands a budget that would surprise the old AV technology specialist. When these very capable network certified IT gurus encounter a need for audio, video, and control capability, they quickly recognize that they don't have time to become equally expert in these areas, and they readily look for AV experts to augment their skill sets." The convergence of technology in the enterprise is not restricted to room-based devices, but it can be found in the supporting infrastructure, said DP's Turner. "We have adapted to be not only an AV integrator, but an IT integrator as well. Companies want their multiple solutions to work together. We are integrating unified communication solutions such as Microsoft Lync and Cisco CUCM/Jabber into multi-platform solutions that work together and meet an enterprise where they are, on the tools they have adopted." The demand for this infrastructure and the move of the customer from a facilities role to an IT role has also created an increase in demand for better service level agreements, software as a service, platform as a service, and larger preventative maintenance contracts. Solutions such as the huddle room enable DP to standardize on specific types of equipment and manufacturers, he noted, making several aspects of project management and installation more efficient which ultimately helps the bottom line. Verticals are shifting as well. "We are starting to see a shift in the education market; expanding from interactive whiteboards to interactive displays," Birchett said. "However, in addition to interactivity, the focus is also on the addition of streaming video over the network for announcements and audio enhancement in the classrooms." For Forsberg, the essential tactic in his arsenal is making his customer look brilliant. "If you think about the process, whether the customer is an HOW, school, or business, someone with discretionary power recognizes a need and delegates the job of solving this need to whomever they feel is best qualified to get the job done. Because modern consumers have much higher expectations than those in the 1970's and 80's, very few of the people entrusted with the task of solving acoustical, public address, automation, video, and other problems have enough time or expertise to succeed without help from an expert."